1/4 cup of either Nuts or raisins are an optional dash of sweetness for this recipe. Add all the dry ingredients together and use a fork to whisk in the eggs, bananas, and oil. 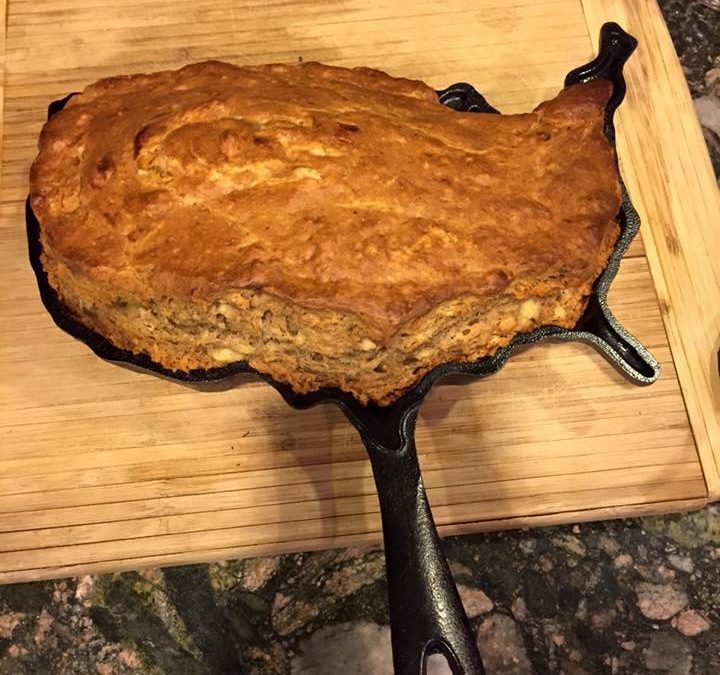 Bake at 375 degrees in an oiled cast iron pan (a USA skillet works great! ), for approximately 45 minutes. Serve with honey drizzled on top, or butter, berries and jam. Eat by region of the USA, or just scoop it out with a knife and enjoy!